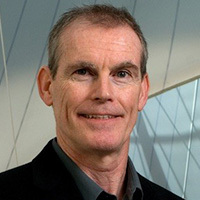 Kevin R. Sowers, Ph.D., is the Associate Director the Institute of Marine and Environmental Technology and Professor at the University of Maryland Baltimore County. Dr. Sowers has over 30 years’ experience in the physiology and molecular biology of anaerobic bacteria. Specific research programs include solid waste reduction by microbial conversion to biomethane and development of approaches for in situ microbial degradation of polychlorinated biphenyls in sediments. In-situ amendment with activated carbon (AC) has been shown to be effective at reducing PCB bioavailability in sediments. However, a more desirable goal is to ultimately reduce the inventory of legacy PCBs in sediments while also reducing bioavailability to the food chain. We describe results from pilot scale in situ treatment of PCB impacted sediments sites treated with AC amended with PCB transforming microorganisms. The innovative aspects of the technology are: 1) identification of the true kinetic limitation for PCB degradation in sediments, 2) circumventing the threshold PCB concentration for growth by scaling up the organisms without PCBs in bioreactors, and 3) the application of anaerobic organohalide respiring bacteria and aerobic PCB oxidizing bacteria to sediments with a pelleted AC agglomerate as a delivery system. The bioamended AC serves as a solid substrate for the dual purpose of bioamendment delivery into sediments and long-term sequestration of hydrophobic PCBs. Production-level scale-up of microorganisms, field deployment and treatment results will be discussed. These pilot-scale field studies show the promise of bioremediation as a new strategy to reduce contamination of the aquatic food web from exposure to sediment-bound PCBs.